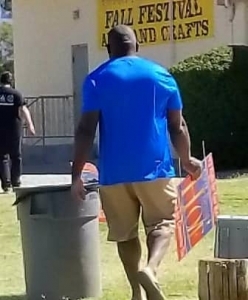 According to a post on Topix.com on Sunday, a volunteer for my Democrat opponent in the Assembly District 36 race was caught at the Pahrump Fall Festival taking “HOF” signs and throwing them away and replacing them with “Romanov” signs. There are also reports of Romanov supporters going into people’s yards and on private property to remove, deface or destroy “HOF” signs. Acts of a truly desperate campaign. Sad. A few years ago Gov. Brian Sandoval, with the aid and comfort of many Republicans in Legislature, doubled the number of Nevadans covered under Medicaid – the government’s health care/welfare program – despite warnings from conservatives that the expansion could eventually bankrupt the state or result in massive tax hikes. On Monday the Las Vegas Review-Journal reported that Nevada is nevertheless ranked dead last in nationwide health care rankings. Proving again – just like with public education, where Nevada is also dead last in nationwide rankings – simply throwing more money at a problem won’t fix the problem. Over the weekend, California enacted more gun control laws, including banning the sale of guns to adults under the age of 21. And you can bet similar legislation will be introduced in the Nevada Legislature next year. I’ll oppose any such effort. My Democrat opponent would support it. I’m A-rated by the National Rifle Association and the Nevada Firearms Coalition. My opponent refuses to submit her gun positions to either gun-rights organization. If you think California’s gun control laws are a good thing, vote for my opponent. If you cherish your God-given Second Amendment right to self-defense, vote for me. Also this weekend in Cali: A new government mandate that private California-based corporations MUST put a minimum number of women on their boards of directors. Not because they possess any specific level of experience or expertise in the business, but simply because they’re women. This is NOT a legitimate role of government in the private affairs of private companies. And again, we can expect some California-dreamin’ legislator to introduce a similar bill in Nevada next session. I’ll oppose it. My opponent would support it. California Gov. Jerry Brown also signed into law on Sunday a bill imposing government regulation of the Internet, deceptively named “net neutrality.” The Nevada Legislature will try to pass a similar bill next year. I’ll oppose it; my opponent would vote for it. It should be a no-brainer that able-bodied welfare recipients, including those receiving food stamps, should be required to do some kind of work in return for their benefits. I support such requirements; my opponent would oppose them. As a candidate I’ve received a deluge of “questionnaires” from all kinds of various special interest groups. But the one I received last week from the “Cultural Alliance of Nevada” really took the cake. 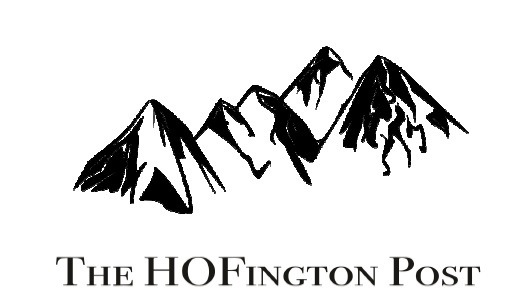 First, the cover letter made a bunch of unsubstantiated claims – such as “Arts and culture production in Nevada added $6.2 billion to our state’s economy” last year.” Where and how did they come up with that figure? Nobody knows. Let’s just say I’m skeptical. Let’s just say anyone needing some confetti from my paper shredder for a school art project can stop by later today. Thank you, Jim, for your support. Now onward to making Nevada NEVADA again!